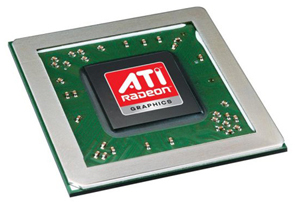 Laptop video card or graphics card failure is one of the most common faults in laptop and notebook computers these days. Are you fed up with annoying graphics and video problems that prevent you from enjoying your favourite games, music videos and movies on your Acer laptop computer? 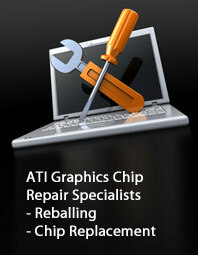 Then count on Creative IT for all kinds of Acer ATI graphics repair solutions. At Creative IT, we deliver comprehensive laptop video card and GPU (graphics processing unit) repair and troubleshooting services to restore your laptop in excellent functioning condition. Thanks to both our skilled work team and highly sophisticated repair equipments like BGA rework stations, BGA reflow machines and soldering equipment. Does your Acer laptop experience any of these issues? Most of the latest laptop brands including Acer make use of ATI Mobility Radeon graphic cards or ATI GPU chips for improved video clarity and high quality video experience. These graphics processors and GPU chipsets are prone to overheating issues, especially due to the system’s temperature variations. This will eventually lead to the malfunctioning of the graphics card. No matter the extent of your laptop video card or graphic card issues; our professional Acer ATI graphics repair technicians with hands on experience in component level laptop repairs can easily offer affordable solutions. Depending upon the complexity of your Acer laptop’s graphics processor and GPU chipset issues, we offer professional reflow and Ball Grid Array (BGA) reballing services with a 90 day back to base warranty. We can also take out the faulty graphics chip from the motherboard and replace it with a new graphic chip by carefully soldering it onto the motherboard. Creative IT offers specialist Acer ATI graphics repair and Acer GPU (graphics processing unit) repair and replacement services for all Acer laptop and notebook models including Acer Aspire, Acer Ferrari, Acer TravelMate, Acer Aspire One and Acer Extensa. So if your Acer laptop computer is suffering from video card or graphic problems or any other issues, all you need to do is to get in touch with the support team at Creative IT on 020 7064 4999 or forward us an email to info@atigraphiccardrepair.com. For fast turnaround Acer ATI graphics repair and ATI GPU repair and replacement services, you are also always welcome to step into our advanced laptop repair facility at 80 Willow Walk, The Willows, Unit 1, London SE1 5SY from Monday through Saturday at anytime between 9 am and 6 pm without a prior appointment.